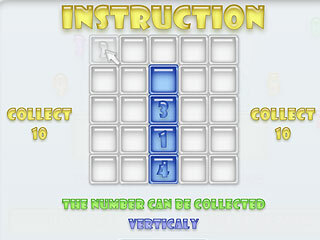 Play New Levels of Fascinating Free Online Game Brickz! 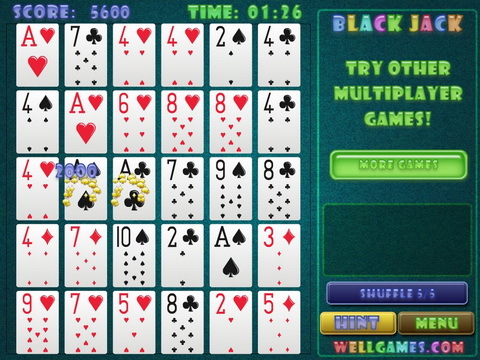 Challenge your puzzle solving skills in a Black Jack solitaire! 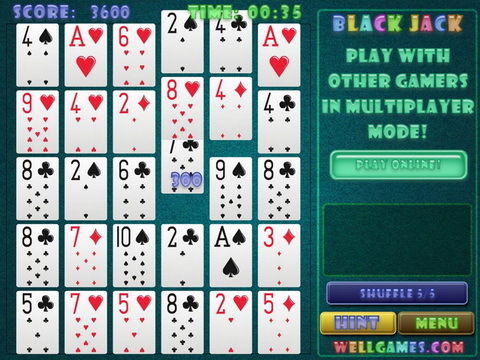 Black Jack is one of the most popular card games whether online or in a real casino. WellGames doesn't support online games with cash payouts, you can play this card game free. In this puzzle game your objective is to make a chain of cards to bring the total value to 21. You have only 2 minutes at the start, but extra time is added for successful combinations. Try to use only cards of one color or one suit to receive bonus score. Shuffle button is helpful for obtaining new combinations on the play field, but you are limited in using it. As Black Jack is a multiplayer game, you can take the advantage and raise you rank getting larger score than your opponent. So, taste a new twist on the famous board game with Black Jack Puzzle! 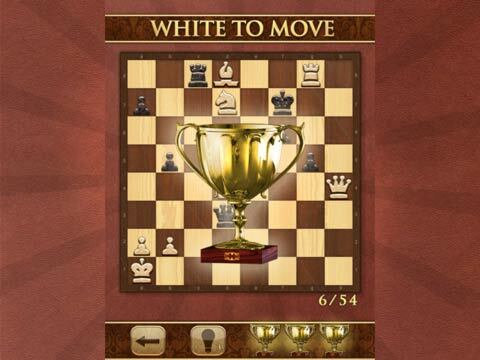 Become a Grand Master with Mate in One Move online game! Whether you are a chess master or only an amateur, this unique collection of chess problems will absorb your spare time. 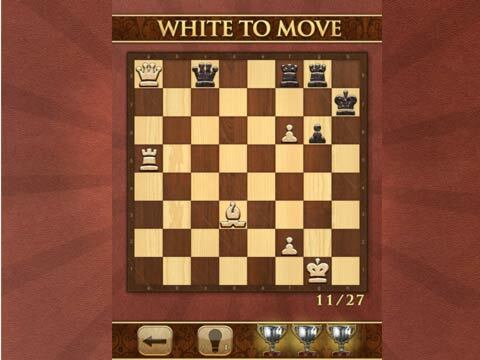 Isn't it easy to checkmate in one move? Play this board game online and try it yourself! As you progress through 54 levels, finding the solution from the first try becomes more and more challenging. Your excellence brings you trophies, and you can improve your results replaying particular levels when you complete them all. 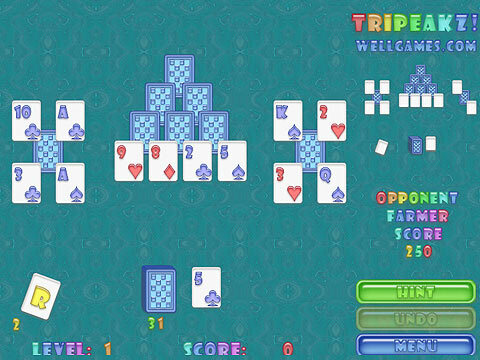 Let cool free online card game TriPeakz! become your favorite card game! TriPeakz! is the first solitaire game with a multiplayer option. The rules are quite easy. Remove all the cards from the playing field to the deck at the bottom. Click the card you want to move that is one higher or lower than the opened card at the bottom. You may use UNDO button to cancel your last move. HINT button shows possible move. The game play is really addicting, once you start playing - it's impossible to stop;)! 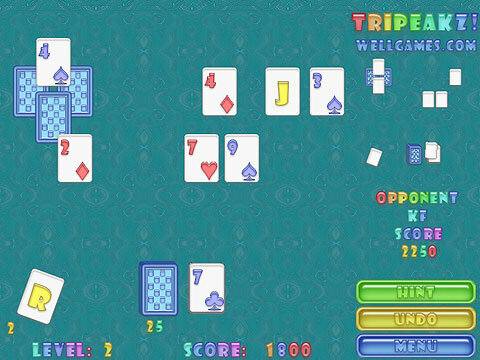 Play card game TriPeakz!, compete in a multiplayer mode and have fun! Discover a funny logic game Digitz! The fun multiplayer puzzle game Digitz! suits people of all ages perfectly. 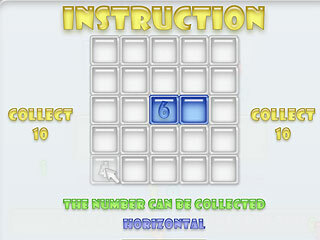 This is a mixture of Lines and Sudoku games with simple rules. Place digits next to each other so that their sum makes up 10. If the sum is correct the digits disappear and you unlock the field tiles. For example, you should click 7 and then 3. Both digits will disappear from the playfield. When there are no digits that make 10 together new digits will appear randomly in the empty tiles. 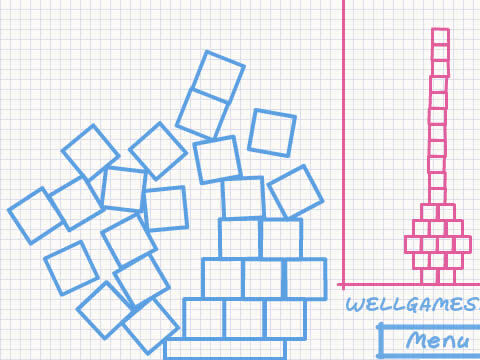 All you need to play this online puzzle game is simple Math. Online tournaments with and 40 game levels will bring you hours of addictive game play and pleasure! Join our online community! Build the highest tower in the world! 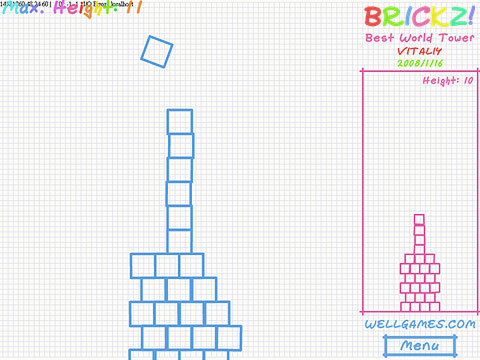 in new free multiplayer game Brickz! Feel like architect! Build your own tower, the highest tower in the whole world, improving your skills with every next cube! Try to beat the current world record on the right! Place cubes on each other, but try to do it very carefully, because the game is over if you let at least one cube fall. The tower height is fixed when all the cubes are stable for more than 3 seconds and you do not keep them up with your mouse. So hold your breath and start building your skyscraper!